I try to have these no-bake chocolate coconut cookies always in my fridge as a sweet and clean indulgence right after lunch or dinner, but you guess it… they don’t last too long. Most of you know that I love minimalism let it be in art, architecture, fashion or cooking – less for me is more! 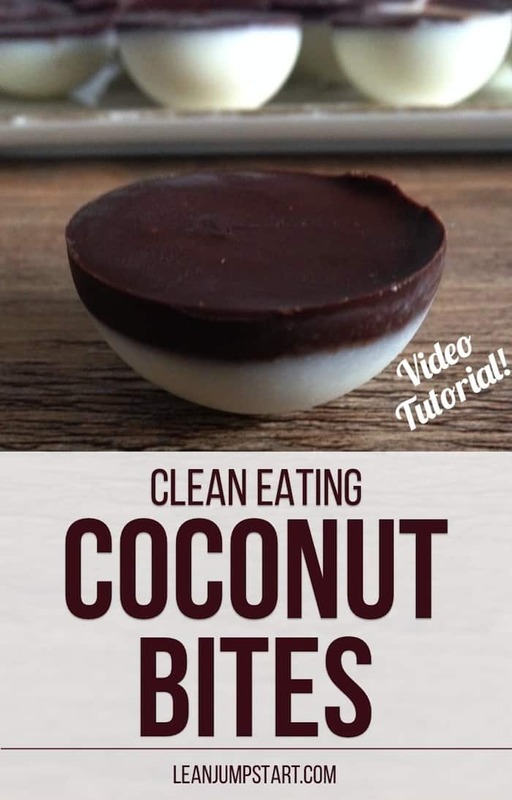 In this context this simple coconut cookies or should I say truffles recipe is perfect for me: You need just 2 ingredients and a good kitchen machine. Check out my short video (1:11 min) and learn how easy it is to make these yummy indulgences. coconut bar you can buy here in Germany and they look a bit like “Toffifays”. Keep in mind that to maximize the power of your food processor you’ll need more desiccated coconuts than you actually need for the recipe. In my Themomix I start with level 10 for 2:30 minutes, then I check consistency. I scratch the coconut mix from the sides of my pot and blend for another 2:30 minutes at level 4-5. For best results some machines will need 10 minutes with “cool down” breaks in between, it really depends. You need just 120 grams (4.3 ounces) of coconut butter for this recipe, put the remaining coconut butter in a jar and store it in your pantry. 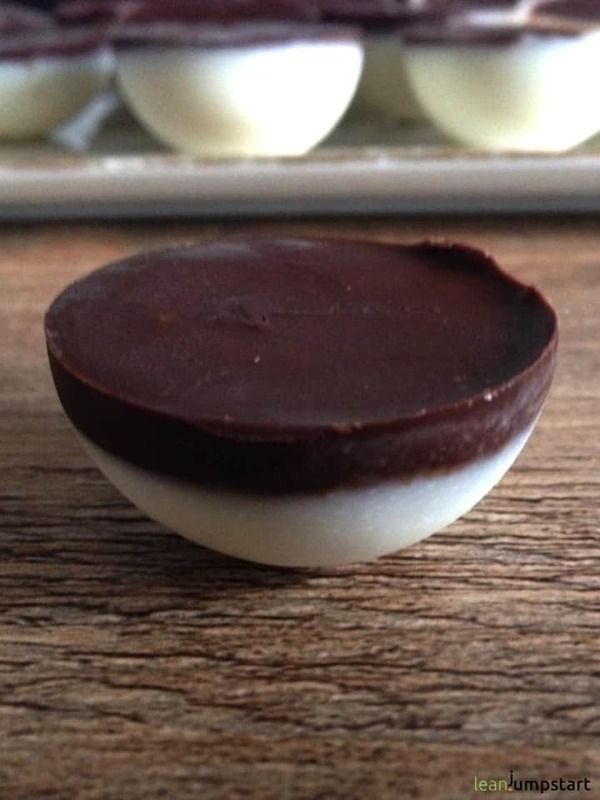 Fill the fluid coconut butter with a little spoon in a silicone pan ( I use one half of a silicone cake pop mold) – fill each mold up only 3/4 in height. In the meantime melt your chocolate over hot water. Take your silicone pan from the freezer and fill the melted chocolate until the edge of each mold. 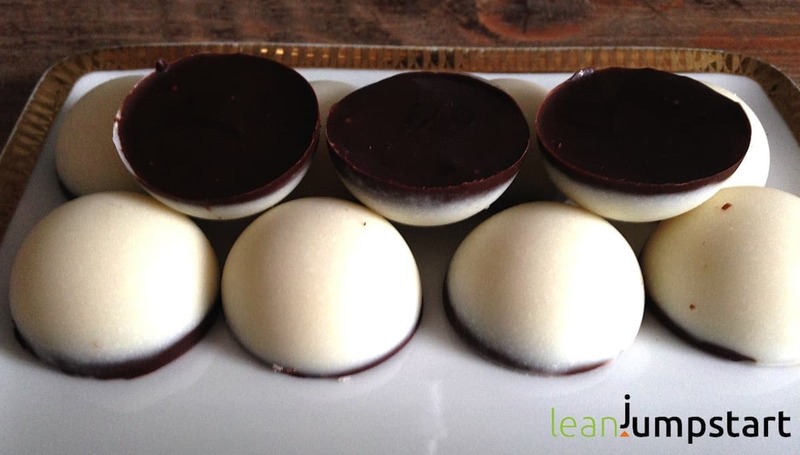 Put your chocolate coconut truffles in your fridge for a least 1 hour before serving. 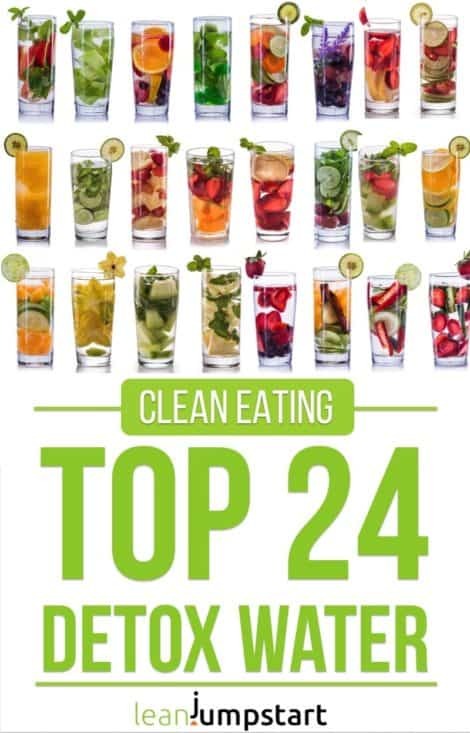 Did you know that optimizing your snacking and dessert habits for weight management is an integral part of my 52 Chef Habits Ecourse, featuring clean eating treats that contain just a few ingredients? Click here to learn more!